During that time, I might have been dead had it not been for video games. 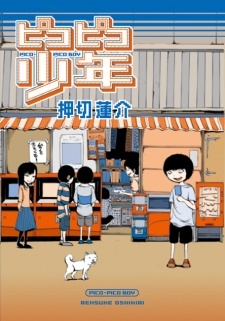 Because so much time has passed, I can finally talk about it…This is an auto-biographical manga about my video game-centered youth! In "Boy's First Love," I tell the story of the girl with whom I bonded over a mutual addiction to video games. In "Candy Shoppe Boy," I describe the utopia that was that old candy shoppe. Where is that shoppe now? "Boy in Line" is the story of my harrowing night spent outside a game store waiting in line to buy Final Fantasy V. Where is my soulmate? Find out in "Sentimental Heart Boy." Where was my favorite place to play games on a rainy day? "Secret Castle Boy" answers that question. All stories are true! !